How to Become Prime Minister of Israel in Just Five Easy Steps! 1. Ensure that you are the leader of the Likud party that originated as a terrorist organisation but convince the United States, your primary funder, and also the United Nations, that your negotiations over the past five years for a peaceful settlement with a 2-state solution, have been absolutely genuine. 2. During the election for a new Knesset, you suddenly proclaim that all your so-called negotiations have, in fact, been false and deceitful and that you will never, ever, allow a Palestinian State whilst you are in charge. 3. 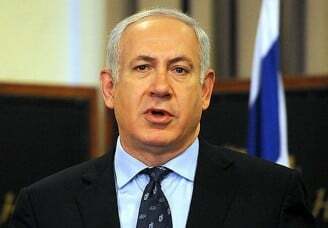 When you perceive that the vote may be going against you, you post an urgent message on social media that the Israeli Arabs are coming to vote in great numbers and must be stopped at any cost and that, furthermore, there is a global conspiracy to ensure your defeat. 4. In the event, when the votes are counted, and thanks presumably to your racial scaremongering, you have actually gained 30 seats out of 120, enabling you to proclaim a great victory! 5. 24 hours later, after re-considering your conduct, you are forced to remember that it is the United States that enables your country to survive – so you then insist that you were not really serious about rejecting a state for the 5.8 million indigenous Arab population of former Palestine – you were only joking and please could you still have the money and the guns and the F16s and the cluster bombs so as to allow you to carry on talking for another 20 years whilst contemporaneously extending the illegal settlements to cover the entire West Bank and ethnic-cleansing the whole of Arab East Jerusalem?